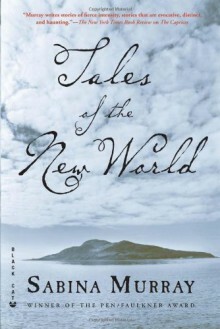 In her first collection of stories since her PEN/Faulkner-winning The Caprices, Sabina Murray confronts the manipulation, compassion, ambition, and controversy surrounding some of the most intrepid and sadistic pioneers of the last four millennia.Iconic explorers and settlers are made intimately human as they plow through the un-navigated boundaries of their worlds to give shape to modern geography, philosophy, and science. As Ferdinand Magellan sets out on his final voyage, he forms an unlikely friendship with a rich scholar who harbors feelings for the captain, but in the end cannot save Magellan from his own greed. Balboa’s peek at the South Sea may never have happened if it wasn’t for his loyal and vicious dog, Leonico, and an unavoidable urge to relieve himself. And Captain Zimri Coffin is plagued by sleepless nights after reading Frankenstein, that is until his crew rescues two shipwrecked Englishmen who carry rumor of a giant and deadly white whale lurking in the depths of the ocean. With her signature blend of sophistication and savagery, darkness and humor, Sabina Murray investigates the complexities of faith, the lure of the unknown, and the elusive mingling of history and legend.